whether the individual is still employed by your organization. 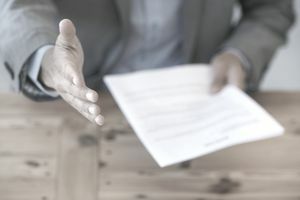 In the case of employment verification requests by prospective employers, information about the employee's performance and potential rehire are often requested. It is also not unusual for the employment verification to request the employee's specific history of job responsibilities, title, and salary history, in addition to the current / most recent employment information. It is up to the employer how much information to release, but an employment verification policy, that is consistently enforced, should exist. It is important to practice consistency when dealing with employment verification requests. Your managers and staff members need training in how to respond to an employment verification request as well as how to respond to more lengthy and detailed requests at the point when employers do background checking. Government agencies and other entities such as lending institutions will not seek the detailed reference or background checking information that prospective employers want to obtain. All employment verification inquiries from current or former employees, prospective employers of current or former employees, governmental agencies, or other organizations such as a financial or lending institution, should be directed to Human Resources for an official company response. Under no circumstances is any other employee authorized to provide a written or official employment verification response for the company. Your Human Resources staff are trained in responding to employment verification requests. They will also know whether a signed permission to release information, from former employees, is on file. All requests for employment verification must contain the employee's or former employee’s signature authorizing the release of information. In the case of current employees, as a courtesy, the HR office will notify the employee when employment verification information is requested. the current or final salary paid to the employee. Depending on the circumstances of the request, and input from the past or current employee, the company might release salary history, job title history, and whether the company would rehire the employee. Exceptions to this policy must be approved by the President of (Your Company).